#1. Moissanite Came from a Meteor! Moissanite was first discovered in Arizona in 1893 by Noble Prize winning French scientist Henri Moissan. 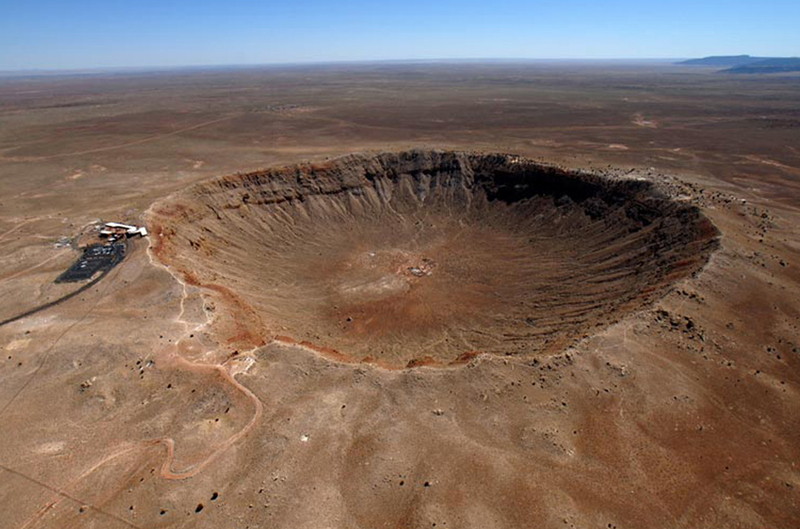 His first sample of Moissanite (named after himself) was found inside of a meteorite crater. While he initially thought he had found a diamond, he took his sample to the lab and discovered it was silicon carbide. Moissanite was born. #2. Moissanite is More Brilliant than Diamonds! The ability of a gemstone to reflect white light is known as its brilliance. How much light a gem reflects is its Refractive Index (RI). Moissanite is unique from diamonds because it reflects more light. Moissanite is also less likely to attract dirt and grime than a diamond and stays more brilliant between cleanings. #3. Moissanite has Superior Heat Resistance. Moissanite jewels can be cast in place, allowing the jewellery designer to offer innovative, exact-fit designs. Moissanite jewels are less likely to experience heat damage during jewellery repair operations. Moissanite jewels can survive the extreme temperatures found in typical house fires. Stones are measured by hardness because the harder they are, the more difficult they are to scratch. Moissanite loose stones have a rating of 9.25 on the Mohs hardness scale. #5. Naturally Occurring Moissanite is Rarer than Diamonds. Moissanite is rarer than diamonds. Rarity is the availability or perceived availability of a jewel. Moissanite is by far the rarest jewel on earth. Naturally occurring quantities of Moissanite are so minute, they are not suitable for use in jewellery. After a century of research, only a few companies in the world are capable of growing Moissanite crystals suitable for use as a precious jewel. Still, the process is so complex, that it is as much an art as a science. Unlike mined jewels, Moissanite is absolutely conflict free, with guaranteed origin. You would think the most brilliant jewel in the world would be the most expensive jewel in the world. Thankfully, it’s not. 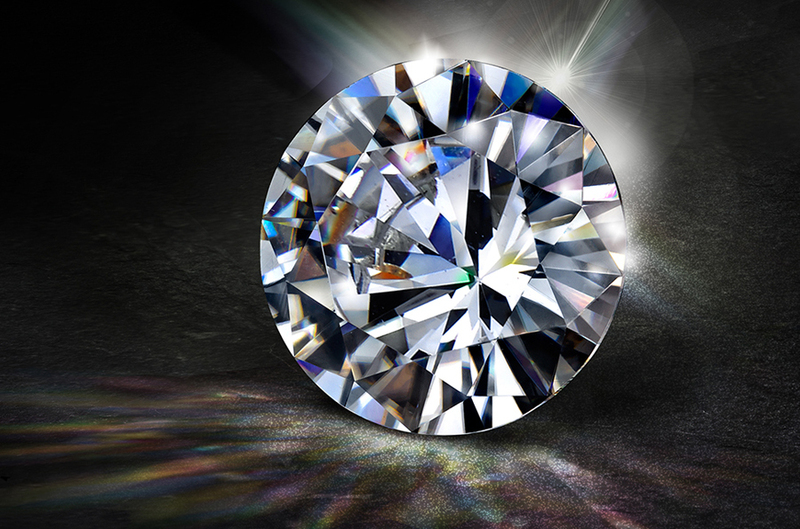 Generally, Moissanite is around 90% less expensive than a diamond of the equivalent quality. Moissanite will last a lifetime and maintain its brilliance, fire and lustre forever. Now that’s incredible value. If you’re looking for an alternative to diamonds then Moissanite might be the right fit for you. But what is Moissanite? You’re far from the first person to ask us, which is why we thought it would be great to pull together 7 amazing facts about Moissanite to familiarise yourself with this amazing gemstone. The ability of a gemstone to reflect white light is known as its brilliance. How much light a gem reflects is its Refractive Index (RI). Moissanite is unique from diamonds because it reflects more light. Moissanite is also less likely to attract dirt and grime than a diamond, and stays more brilliant between cleanings. You would think the most brilliant jewel in the world would be the most expensive jewel in the world. Thankfully, it’s not. Generally Moissanite is around 90% less expensive than a diamond of the equivalent quality. Moissanite will last a lifetime and maintain it’s brilliance, fire and lustre forever. Now that’s incredible value. f you’re looking for an alternative to diamonds then Moissanite might be the right fit for you. But what is Moissanite?